Join us for this free educational webinar to learn the specifics on how to comply with product regulations and avoid penalties. Green Compliance 201 will expand on GreenSoft's popular Green Compliance 101 webinar. 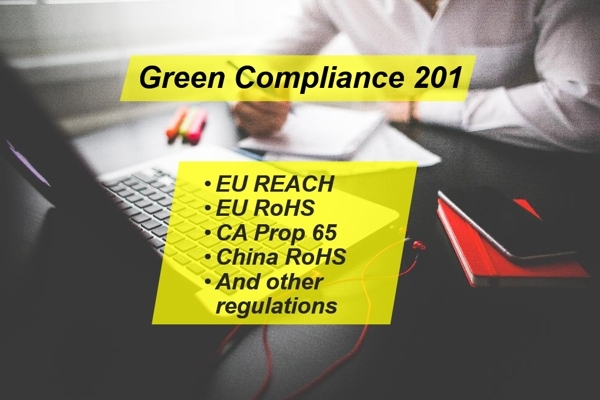 During this session, best practices for compliance with regulations such as EU REACH, EU RoHS, CA Prop 65, China RoHS, and other regulations will be discussed.